When I was younger I hated cinnamon. I had one of those mental food aversions to cinnamon thanks to a Harry Potter candy set I had. One of the candies you made with the set were cinnamon flavoured and those were the ones my sister and I were making just an hour or so before I was sick. My seven year old self automatically linked the cinnamon concoction to my upset stomach and from then on just the smell of cinnamon made me nauseous! 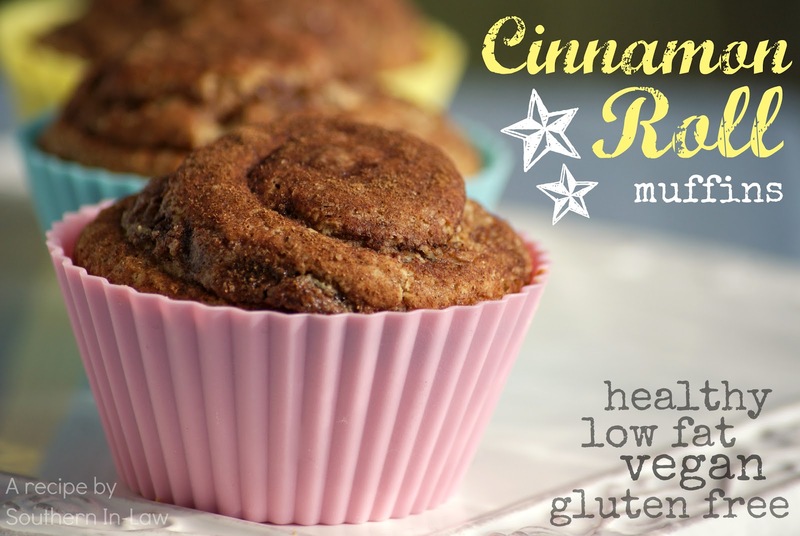 A few years ago, I re-tried cinnamon after years of swearing it was horrible, and I fell in love. Now, I can't get enough cinnamon! The only thing I could handle a little bit of cinnamon in when I was younger was cinnamon donuts. They were a special treat that was bought as dessert when we caught up with friends for lunch but once I went gluten free, cinnamon donuts were no more! I decided that I wanted to recreate the flavour of a freshly baked, slightly dense donut in a Cinnamon Donut Muffin so I set out to experiment with different recipes until I found the perfect ratios that mimicked my once loved treat. 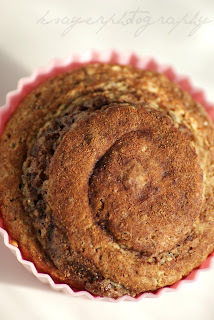 Of course I had to healthify these muffins and make them into a gluten free treat that suited all of my food needs. When I was playing around with the cinnamon sugar on top of the muffins I found that they swirled perfectly - and my cinnamon donut muffins quickly became cinnamon roll muffins! These muffins have a slightly crunchy top with the fluffiest muffin innards - and just the right density of a donut. The flavours are spot on and you could never tell that they were even remotely healthy! 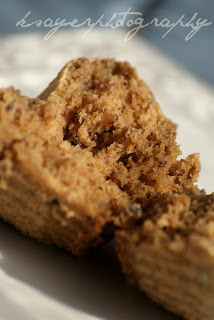 I made these muffins using one of my favourite products, Almond Breeze. Almond Breeze started as a US company but is now also being made and sold in Australia! It's a non-dairy milk which is gluten free, vegan and low in fat and calories. It's also low GI, egg free, peanut free and tastes amazing! 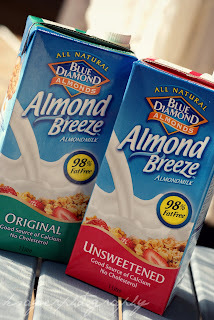 It's available in both Original and Unsweetened (my favourite!) at Coles stores around the country and I think it's the best brand of non-dairy milk available in Australia! I swear by it, especially on days where dairy only makes my upset stomach worse as it's easily digestible. Almond Milk in Australia is produced locally in Taren Point, Sydney. That's just a short drive for me! It's a great source of vitamin D and E and is a good source of calcium which means it helps to keep your bones strong and your skin healthy. They're low fat, vegan, gluten free (but can easily be made with regular flour) and can be vegan too! 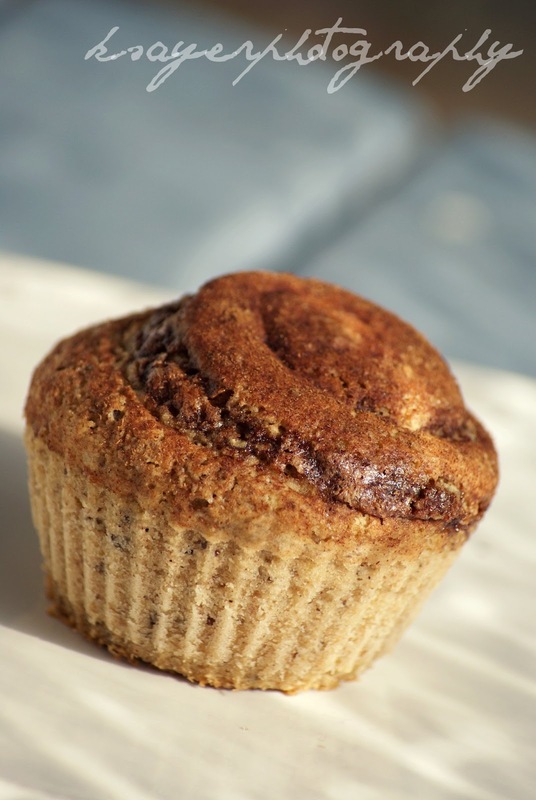 Now anyone can enjoy a delicious donut or cinnamon roll in a healthy muffin form. 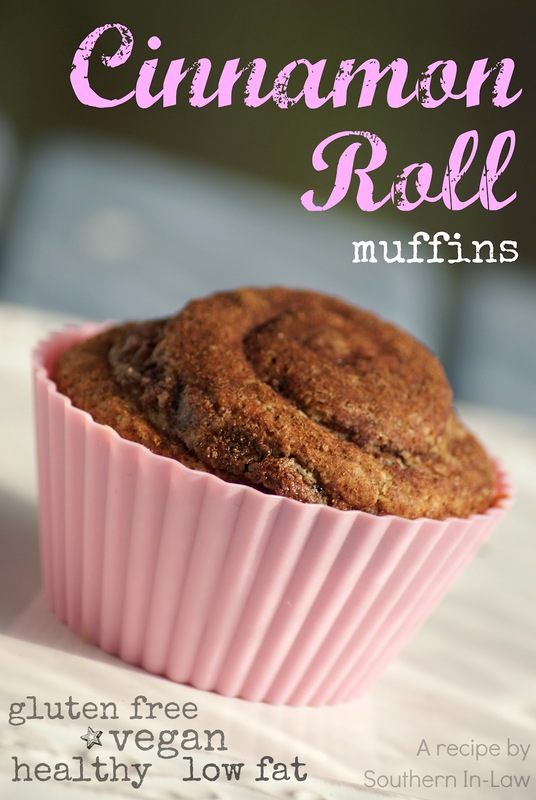 They're perfect for morning tea with a cup of tea or coffee and make a delicious snack or dessert. But enough talking and onto the recipe, right?! So here it goes, A recipe for gluten free cinnamon rolls muffins. makes 12 delicious muffins that are low fat and can be gluten free and/or vegan! Get out 12 silicone cases, paper cases or grease a muffin tin. 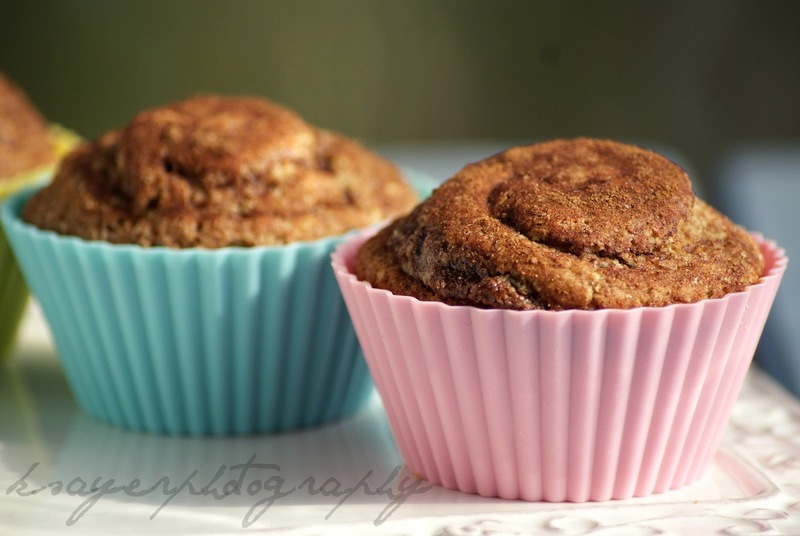 In a large bowl combine flour, flaxseed, baking powder, baking soda, salt, nutmeg and cinnamon. In a medium bowl mix sugar, applesauce, milk and vanilla. Pour muffin mix into muffin cases until they're around 3/4 full. 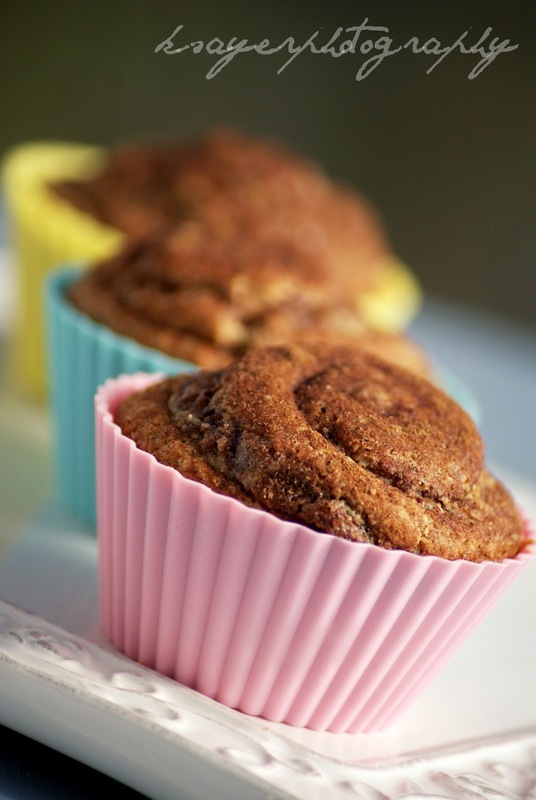 Sprinkle cinnamon sugar mix over the top of the muffins. For cinnamon roll muffins: swirl sugar mixture on top of the muffin with a toothpick. Bake for 20-25 minutes or until a skewer removes clean and the edges have pulled in from the sides. So tell me, do you have any food aversions? I won't eat indian food thanks to a similar situation - just the smell of it makes me feel ill! They're incredible! Definitely my current favourite muffin. I think I've had one almost every single night for dessert since making them, haha. Oh mah gosh...I am going to weigh a ton baking all these recipes! I have everything for this except brown sugar and a muffin tin. Still working on your choco brownies...these will be next! When I was a little girl I hated cinnamon too, even the smell would give me headaches. Now I love it! They're my new favourite muffin! It's actually alot easier to get the tops swirled than you might think. At first I thought "hmm.. this isn't going to work" and then all of a sudden I had swirly tops just by using a toothpick! Glad you finally got on the cinnamon train! These look great. I am too! Now I'm slowly trying to convince my sister that cinnamon is good! If she smells it in something, she flat out refuses - except churros! These look amazing! I don't follow a GF diet but always like to try healthier recipes and it's nice to have some different sweet treats up your sleeve when entertaining GF friends! Pinning! As soon as I saw these I knew I had to try them! I just took them out of the oven and they look (and smell great). Thanks for the awesome recipe! Definitely use silicone liners because the lack of fat made these muffins stick to my paper liners. The taste was quite nice, they rose nicely and were softer than expected, but the mouthfeel would be better if there was a little vegan margarine in place of some of the applesauce. You could definitely sub in some vegan margarine though! My understanding is that gluten free flours are very forgiving; you cannot overbeat them. Hi Linda, you're right - that's why I said when using gluten flours (eg: wheat, spelt etc) you have to be very careful when mixing. I have a questions, using the GF method , do we need to add the xanthan or guar gum? No you don't, if you are using a gluten free flour mix, or gluten free pancake mix they will already have it added. 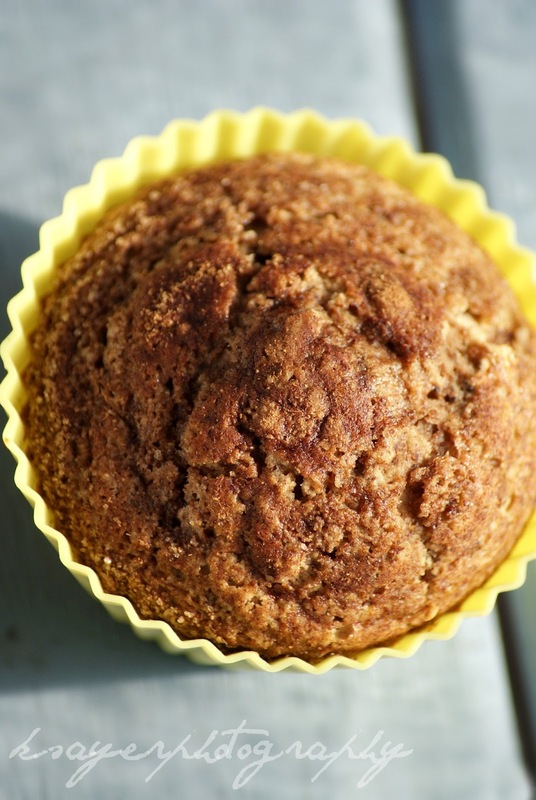 Flax eggs can also be used as a binding agent, but the applesauce in this recipe will already help to bind it so you don't need to add an egg. Can Raw puréed apples stand in for apple sauce? I'm not sure, I know you can make applesauce from cooked fresh apples and it will work - I can't see why it wouldn't work, unless the texture was totally different as it's mainly for moisture. These cinnamon swirl muffins look so good I made a double batch using 3 cups of GF white flour and 1 cup of sorghum flour and the center of my muffins did not cook, the texture was very sticky and had a hard exteria... Do you have any suggestions as to what flours to use in this recipe? Stupid question, in the recipe are you asking for 1/2 cup of white sugar AND brown sugar? Thanks for the recipe! I just made this. The texture is great, but the muffins tasted rather strongly of baking soda. The only modification I made was to substitute Truvia for the sugar, but the amount is proportionate. Do you have any suggestions? Thank you! I don't have any suggestions for baking with artificial sugars as I don't use them. I've never had a problem with these tasting too much of baking soda but I have had a problem once in the past when my baking soda was past it's expiry date and I used it in a different recipe so that may have been it.